The NEW SX series incorporates all of the fully automatic features of our popular SMART TABS, in addition to the rust and corrosion free benefits of molded composite materials. Assembly can be completed in seconds and the installation in a few minutes. The only tools required are a drill with a 3/16" bit and a phillips screw driver. 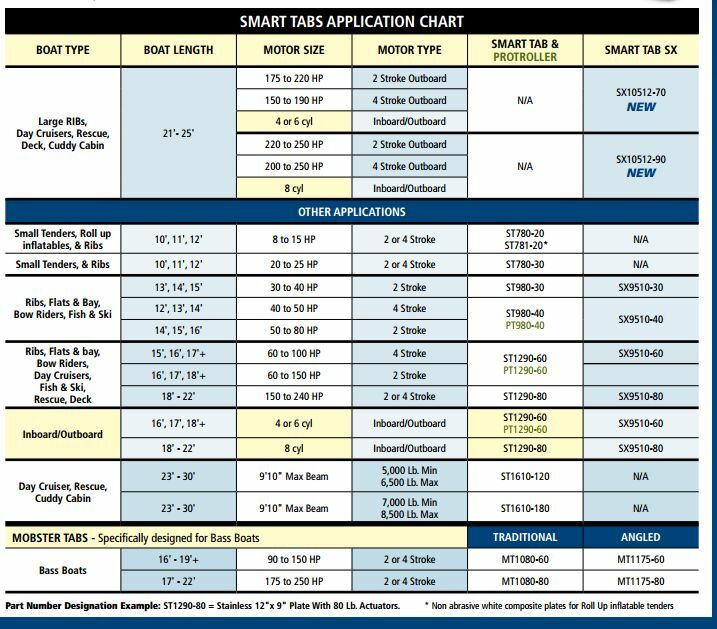 SMART TABS SX provide un-equaled performance and durability with no maintenance in fresh or salt water. The system can be specifically tuned to maximize the performance of any power boat, and TRACKING RIBS have been added to improve handling at higher speeds.